FedCorp, headquartered in Alabama, is a leading service provider in the electronic funds transfer industry. It offers a product line to meet the financial equipment needs of both your onsite and offsite locations. Additionally, FedCorp offers custom outsourcing programs, complete security system integrations, and a surcharge-free network throughout the Southeast. Established in 1994, FISC offers the latest technology in data processing, check and document imaging, statement rendering, internet/mobile banking, networking and bookkeeping services designed specifically for the strategic environment of community banks. We welcome the opportunity to discuss our services with you and encourage you to contact our users. Fiserv is a leading global provider of information management and electronic commerce systems for the financial services industry, providing integrated technology and services that create value and results for our clients. Fiserv drives innovations that transform experiences for more than 14,500 clients worldwide. 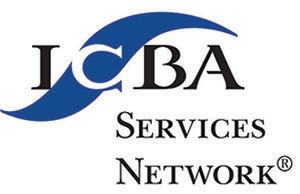 ICBA Services Network creates relationships with community banks that desire a fierce advocate in Washington, timely communication, focused educational resources and profitable business solutions, including services to optimize your credit and debit card program (ICBA Bancard); quality investment products (ICBA Securities); and access to credit life and disability insurance solutions (ICBA Reinsurance). Jack Henry & Associates, Inc.® (NASDAQ: JKHY) is a leading provider of technology solutions and payment processing services primarily for financial services organizations. Its technology solutions serve more than 11,300 customers nationwide, and are marketed and supported through three primary brands: Jack Henry Banking®, Symitar® and ProfitStars®. NCR Corporation is a global leader in consumer transaction technologies, turning everyday interactions with businesses into exceptional experiences. With its software, hardware and portfolio of services, NCR enables nearly 550 million transactions daily across retail, financial, travel, hospitality, telecom and technology, and small business. NCR solutions run the everyday transactions that make your life easier. NCR Financial Division is focused on working with banking customers to grow their revenue, lower their cost and create amazing consumer experiences while managing risk and compliance.